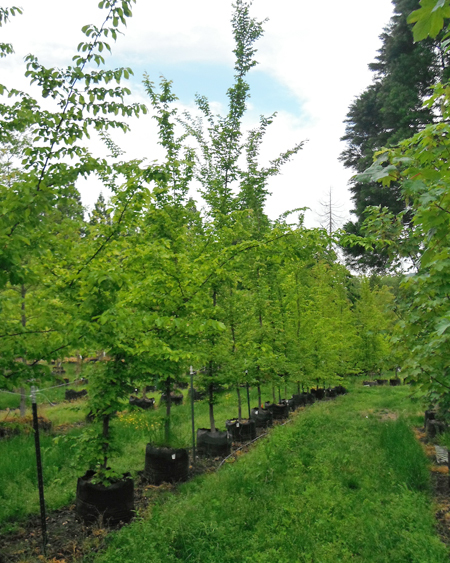 Handsome trees, the European Hornbeam usually grows to about 30 -40 feet in this area, but can reach 60 feet. 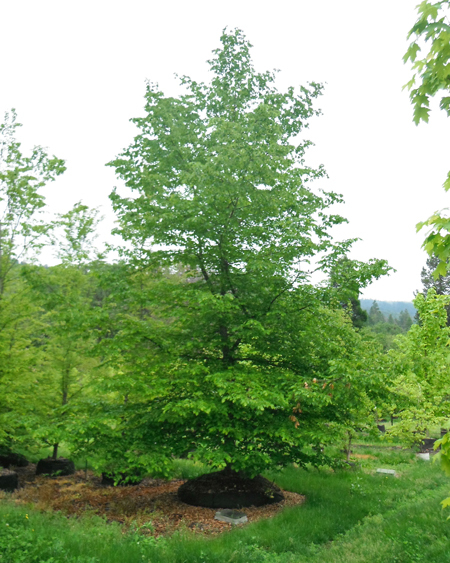 Naturally a densely-leafed pyramid with drooping, outer branches, it is excellent for hedging and accepts heavy pruning. 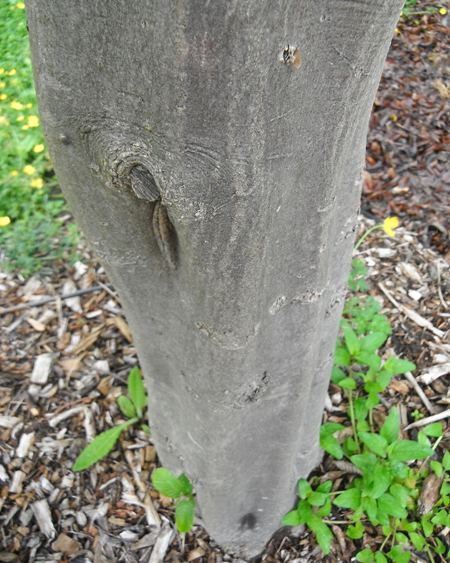 Trees become more rounded with age. 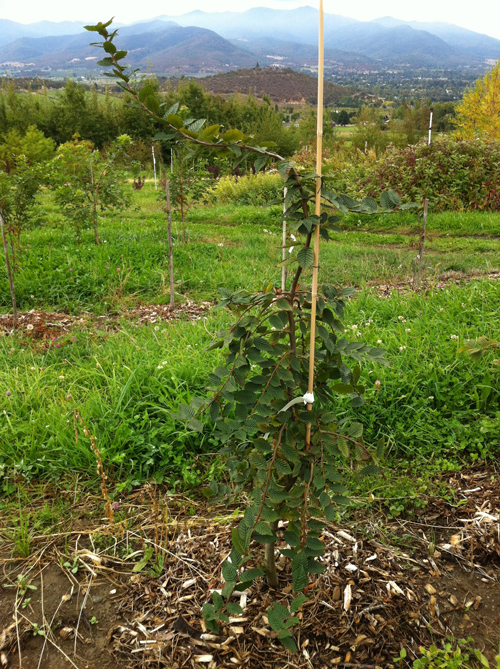 Mid-green leaves are toothed, turn yellow to dark red in autumn and may persist through the winter. 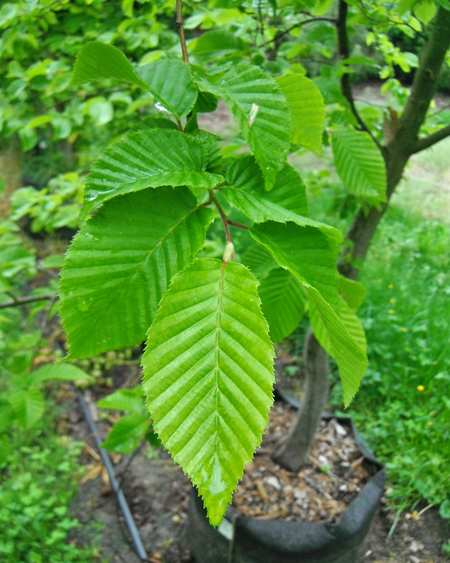 Cultivated for their elegant leaves with their highly impressed veins, their pendent fruits, and good structure, European Hornbeams grow well in moderately fertile well drained soil, in sun or light shade.